The London Original Print Fair is the longest running print fair in the world, having appeared at the Royal Academy of Arts since 1985. 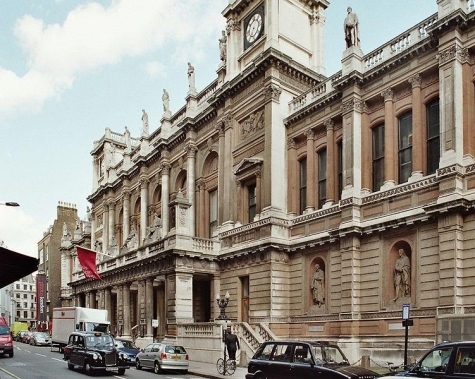 The Fair was founded by Gordon Cooke, who remains the Chairman and is Director of the Fine Art Society, London. Since 1987, the event has been organised by its Director, Helen Rosslyn, formerly a member of the Print department at Christie's. This years event, which was held in the second last week of April, saw record high visitor numbers, proving that the print market is as strong as ever. Over 1,000 guests attended the preview evening alone, which included VIPs such as Sir Peter Blake, Grayson Perry and Jim Broadbent. Notorious London print dealer, Frederick Mulder, had a special exhibition at the event this year, showing a collection of 40 portraits to mark 40 years in the print business. Reportedly he sold a number of Picasso linocuts for around £5,000 each, indicating that there's a great demand for the prints of the modern masters. A consistent highlight of the show is the range and diversity of the works available. Everything from Hogarth engravings through to prints right off the press from current London MFA students go on show, making the event perfect for collectors at any level. You can find more information on the London Original Print Far website, where you can also sign up to receive information for the show next year.